Here’s a definitive list of all the changes happening to Overwatch League rosters. It’s been a wild ride in the Overwatch League since stage one concluded. The first three days of April alone have seen nearly a dozen trades, retirements, additions, and updates to league teams. All of this is a lot to keep track of, especially since stage two starts on April 4. To help you out, we’ve compiled a chronological list of the changes that have taken place during the stage hiatus, from March 17 (the end of regular season play) to April 3. Daniel “Dafran” Francesca retires from professional Overwatch play and becomes a full-time streamer partnered with the Atlanta Reign. Christian “cocco” Jonsson, assistant coach for the Dallas Fuel and former professional player, announces that he is stepping down and returning home to Sweden. Boston Uprising signs Zion “Persia” Yang, a former Talon Esports player, as a flex support. The great off-tank swap: Boston Uprising trade Lucas “NotE” Meissner to the Dallas Fuel for Richard “rCk” Kanerva. San Francisco Shock trade Andrej “Babybay” Francisty to the Atlanta Reign. The Washington Justice release coach Mark “Obasill” Regush. The Toronto Defiant release strategic coach Kim “Don” Dong-wook. Paris Eternal head coach Julien “daemoN” Ducros steps down from his position. Paris Eternal promote former player development coach Félix “Féfé” Münch to head coach, replacing daemoN. daemoN is announced as Dallas Fuel’s newest assistant coach, replacing cocco. Toronto Defiant’s Lee “Stellar” Do-hyung announces his retirement from professional Overwatch, citing personal reasons. Atlanta Reign sign Nathan “frd” Goebel, an off-tank from Contenders team Gladiators Legion. 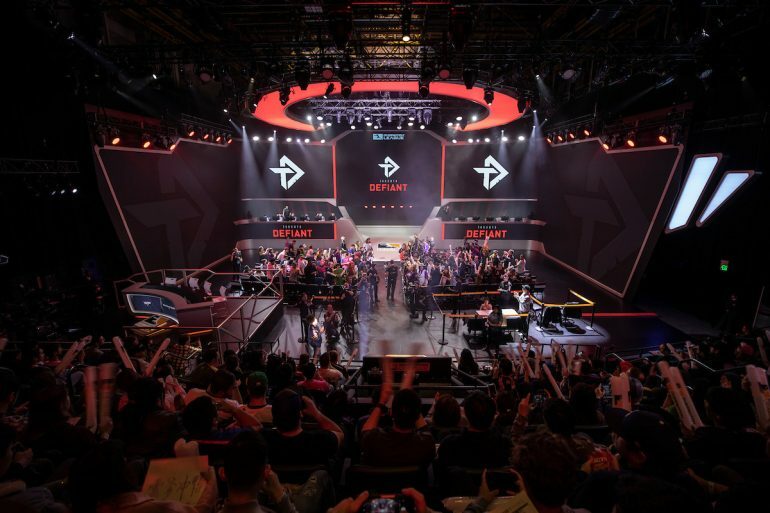 Toronto Defiant sign DPS player Jin “im37” Hong from North American Contenders team Second Wind. Florida Mayhem drop players Kevyn “TviQ” Lindström, Damon “Apply” Conti, and Caleb “McGravy” McGarvey as well as coaches Vytis “Mineral” Lasaitis and Jung “Yeah” Young-su to move in an all-Korean roster direction. Dallas Fuel’s Hyeon “EFFECT” Hwang retires from professional Overwatch. Los Angeles Gladiators’ Aaron “Bischu” Kim temporarily steps in to play flex-tank for Gladiators Legion in Contenders. Washington Justice’s assistant general manager Kate Mitchell will step down at the end of stage two. Los Angeles Valiant adds Marvin “Promise” Schröder as assistant coach. This article will be updated as new changes are announced. This article was last updated at 1:55PM CT on April 10.